BRYAN EATON/Staff photo. 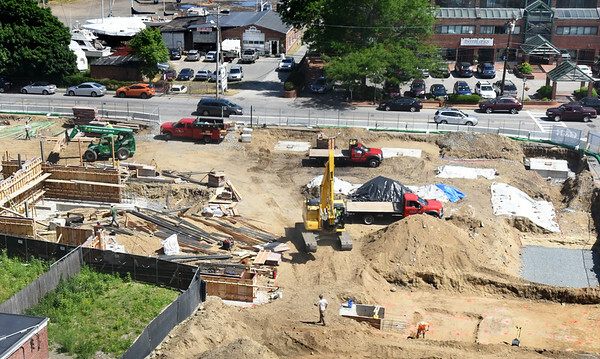 Work at Newburyport's downtown parking garage site uncovered asbestos, prompting delay in work while it is removed. Photo was taken from the steeple of the Central Congregational Church.